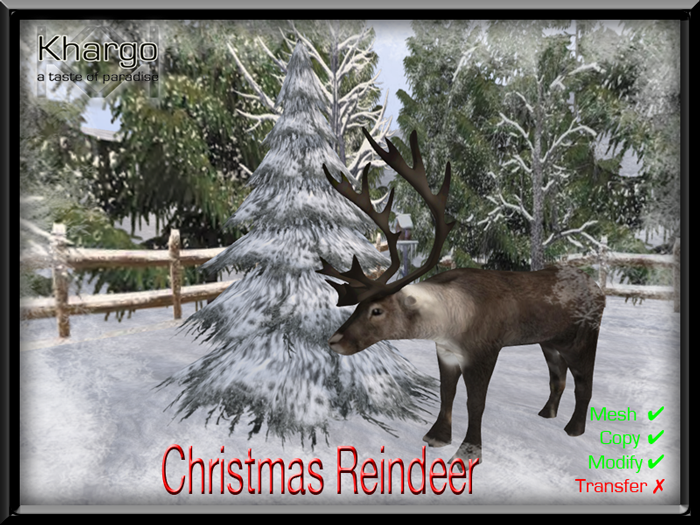 Khargo: Furniture and Design: It's Snowtime! Create your own perfect Winter Wonderland with our Winter Garden Plants Collection! 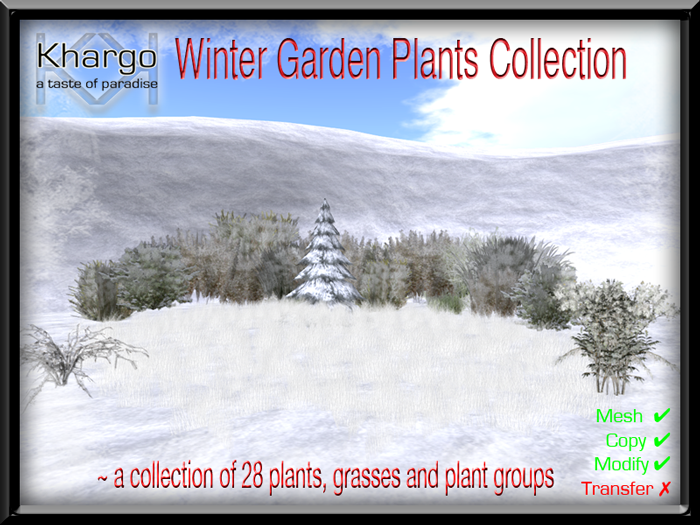 Come and see these gorgeous plants at our Christmas and Winter Fair or on the SL Marketplace. 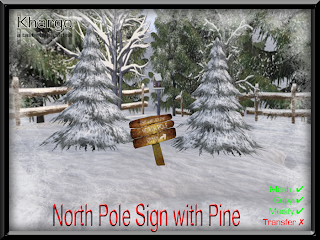 Add a touch of whimsy to your garden decor this Christmas with our cute North Pole sign. Complete with pines this mesh sign has a land impact of 6 and is copy and modify. 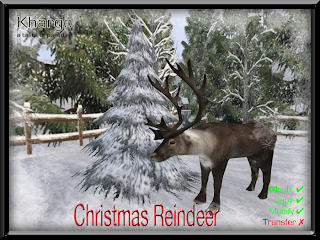 Or bring some nature to your winter landscaping with this mesh reindeer scene. Keep your feathered friends warm in our Winter Tree with Birdhouse. 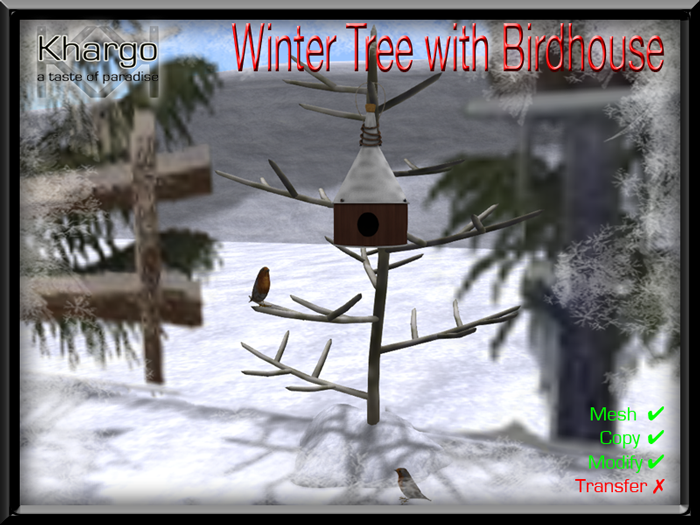 This is the cutest landscaping item this Winter with a LI of only 10! 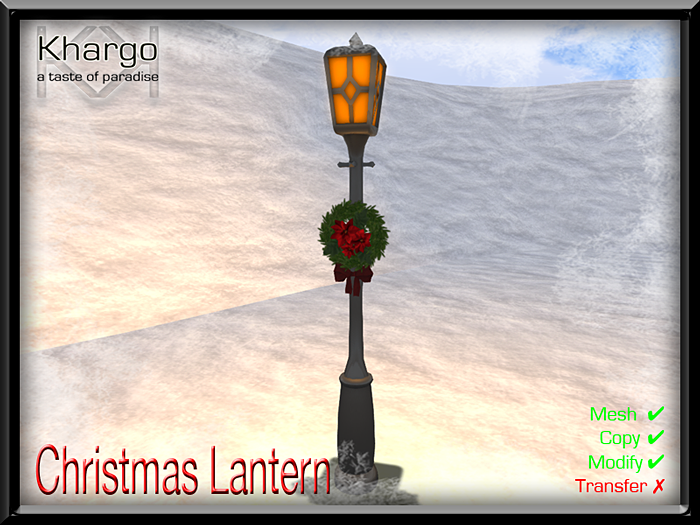 Light up those dark winter nights with our mesh Christmas Lantern. 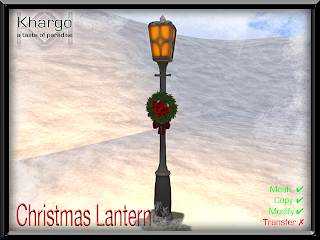 With a touch of Dickensian charm, this 7 LI lantern is copy and modify so you can place them in any corner of your land. 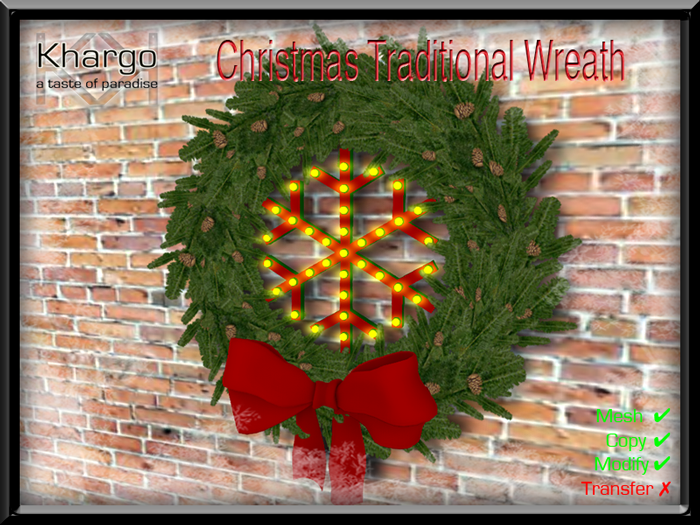 What better way to welcome your Christmas guests than with our Christmas Traditional Wreath! 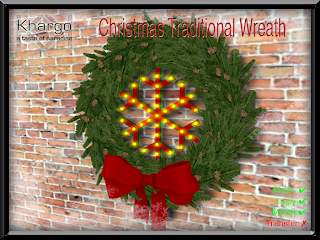 With a land impact of only 3 it is the perfect decoration for your door or fireplace. 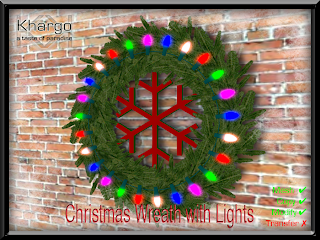 or brighten and cheer any place of your home with our Christmas Wreath with Lights! 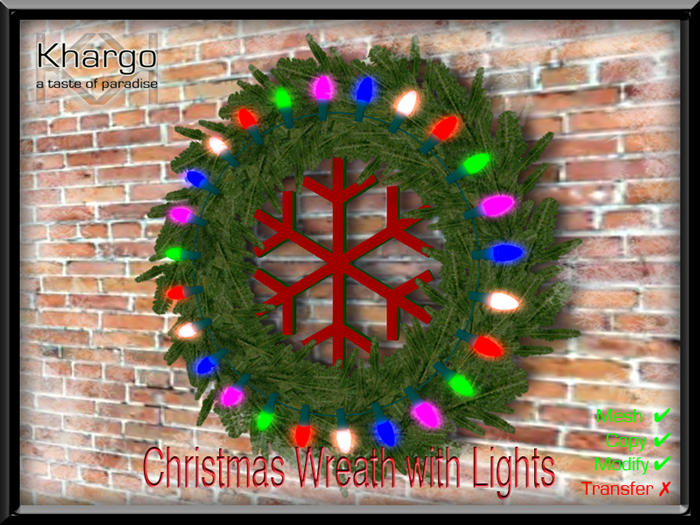 This modern wreath has a land impact of 2 and a circle of colourful flashing lights.